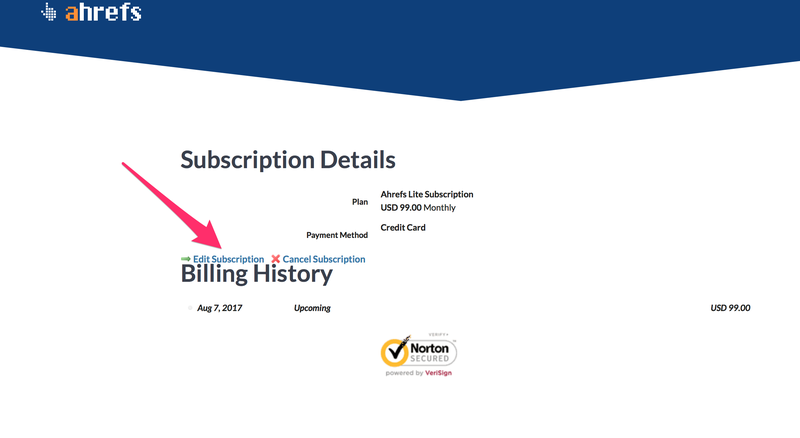 Find out how to change your mailing address and email address for invoices and billing notifications. Changing your billing address is only a few clicks away. First, head on to "Orders" page to view your current subscription details. 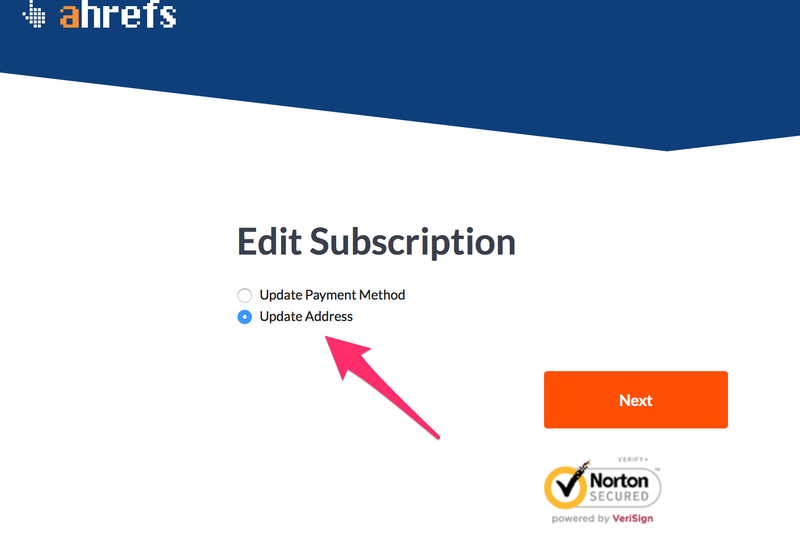 Then click "Change billing address, payment method". Select "Update Address" and click "Next". 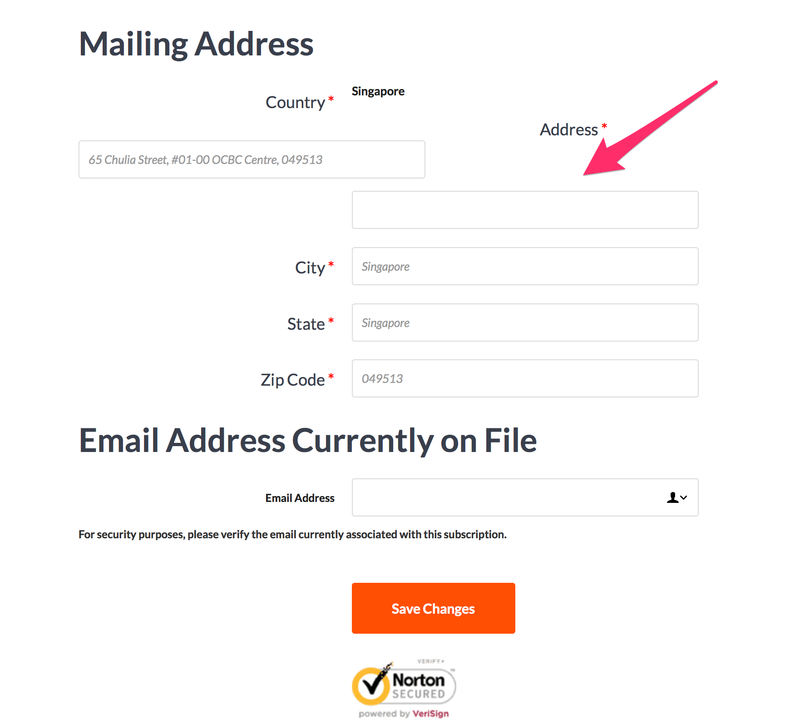 Here, you will be able to amend your mailing address that is linked to your account. Then, click "Save Changes" once you are done. You may also change your payment method - either credit card or PayPal that is linked to your Ahrefs account.